I don’t know about you, but every year I find it harder to think of gift ideas for people. This is why I like giving people homemade goodies. Not only do people seem to really enjoy them, it is also a thoughtful gift as people appreciate that you have spent time making something for them. I first made fudge about five Christmases ago. I used Nigella’s recipe for her Chocolate Pistachio Fudge and absolutely loved it. 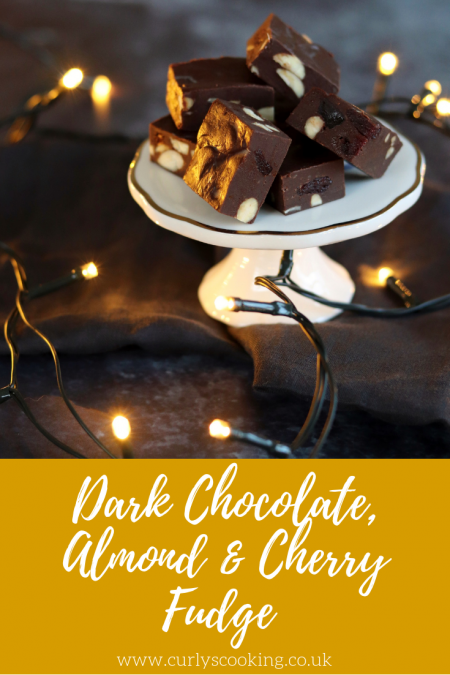 So this year, I have tweaked her recipe to come up with this Dark Chocolate, Almond & Cherry Fudge. I love the simplicity of this recipe. Whatever your cooking ability, you will definitely be able to make this. It is also something that keeps really well. You can make it well in advance and freeze is wrapped in baking paper in a Tupperware box. You can then have a nibble whenever you fancy some and you don’t even need to let it thaw first! 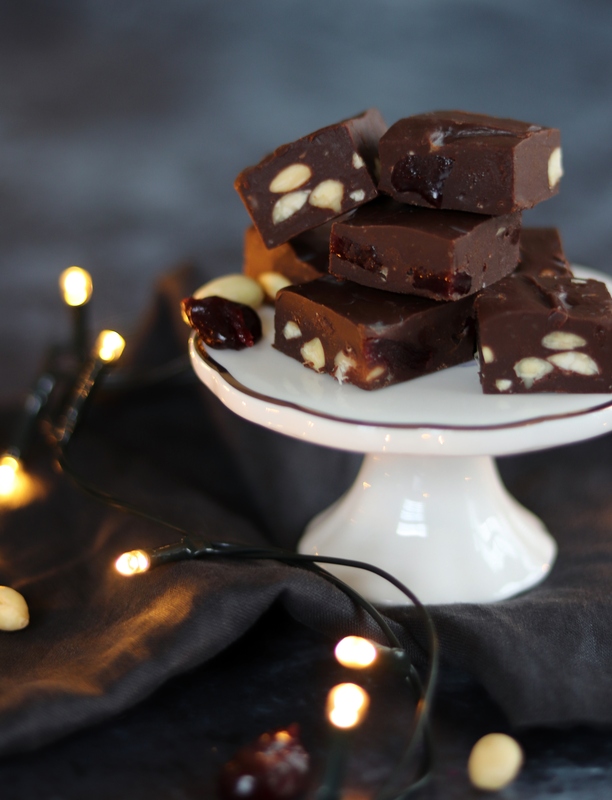 My Dad was my chosen taste tester for this Dark Chocolate, Almond & Cherry Fudge. 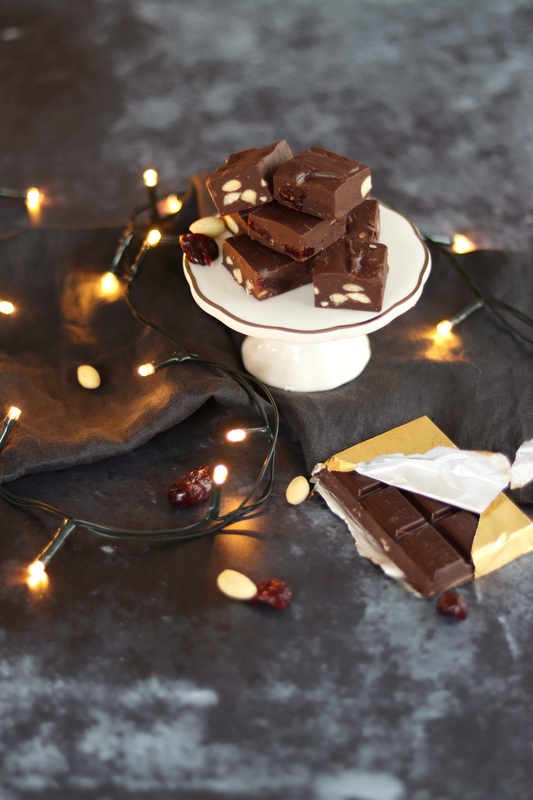 He is the resident dark chocolate fan in our family as well as being rather partial to almonds and cherries too! I sent some his way for him to enjoy as a preview and to let me know what he thought. His response was that it was that it was very moreish! This, along with Mr Curly and I giving it the thumbs up meant it was ready to be photographed. 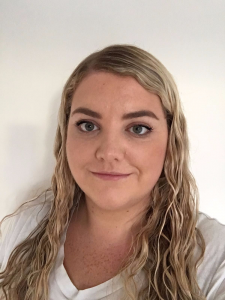 This entry was posted in Biscuits, Cookies and Traybakes on December 3, 2018 by Curly. You added sea salt!!! That makes me so happy. I love the addition of flavour it gives and it just feels so classy! 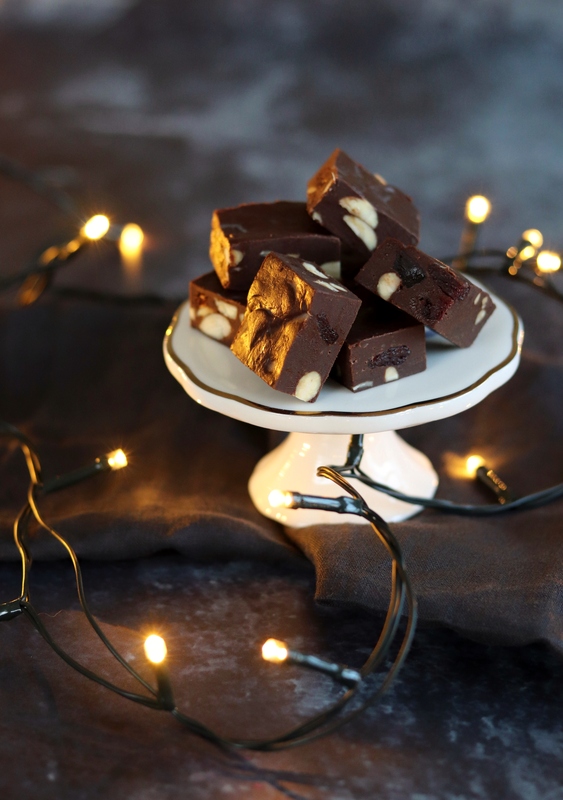 So excited to make this recipe and have some fudge for those cold winter days! Ooh yes. I love sea salt and chocolate together. Sprinkle some on top too if you like! 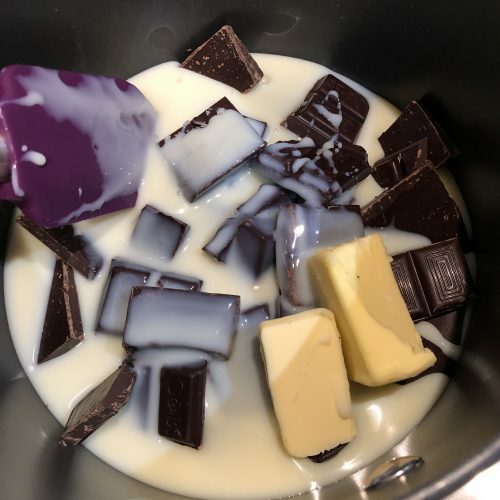 I love a good fudge recipe as it allows one to add whatever add ons. 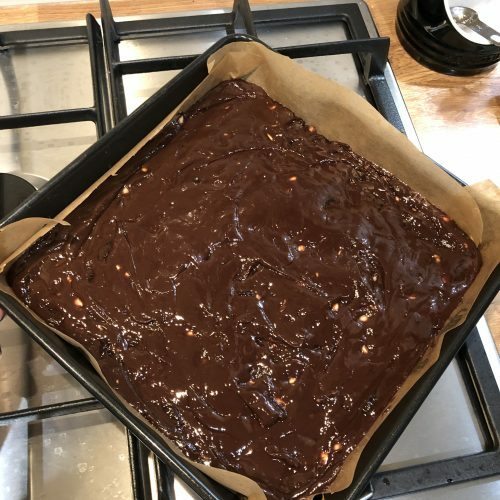 You post reminds me that I had made Nigella’s fudge recipe to some years back. Need to update it. I too prefer making gifts at home rather than buying from the stores. Oh yes, it’s so versatile! I think most of us have way too much stuff in our lives and we really don’t need any gift packs of toiletries from Superdrug to add to it! I would always much rather receive a homemade gift like this. I’m planning to make some thing like this but I really must get on with it or I’ll run out of time! That fudge looks delicious and a perfect gift. Home made gifts are always my favourite as they come with the gift of someone’s time and effort to make it for you which to me = love. 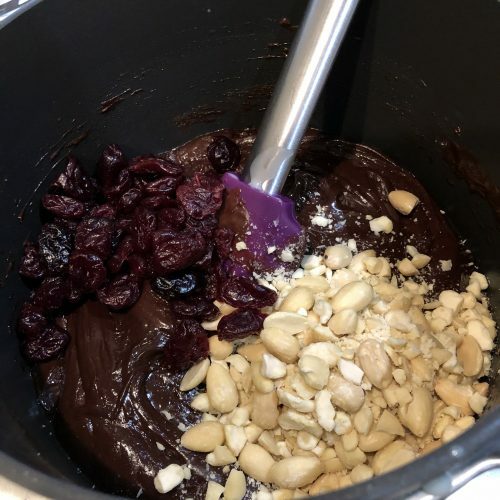 Homemade fudge is such a treat and I love the nuts you’ve included with the classic chocolate cherry mix. This looks so so good. Fruit and Nut is my favourite chocolate, so this is right up my street. What a fantastic edible gift for Christmas! Edible gifts are the best ones in my opinion!